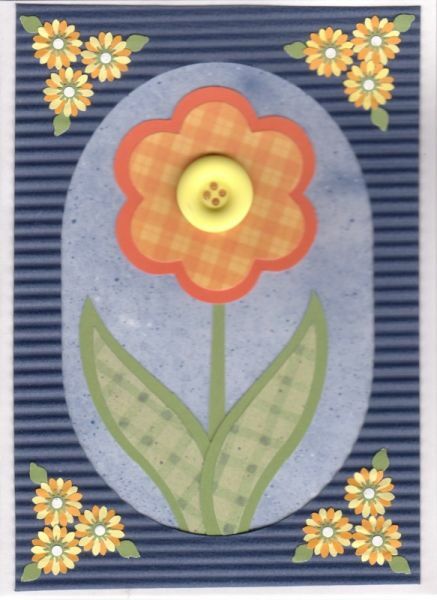 I created this card using Coluzzle templates and flower punches. Since I knew that crimping the frame would shorten it, I cut it a little longer than the card. I also cut the oval in the frame prior to putting it through the crimper. For each of the small flowers, I punched one daisy from orange and one from yellow. The centers were made with a small green sunburst and a 1/8" circle.